The Italian ANSV, while investigating an ATR-72 engine failure incident, met with other accident investigators dealing with similar PW127 engine problems. 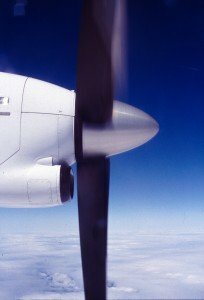 On October 3, 2011, an Air Dolomiti ATR-72-212A was in the initial climb through 1000 feet when the crew needed to shut the left hand engine down. The aircraft returned to Florence Airport (FLR) for a safe landing about 11 minutes after departure. In the course of the investigation, ANSV noted possible similar occurrences involving PW127 engines in a five month time span. These events highlighted problems with the blades of the engine’s turbine stage 1. The investigative authorities of Hungary and Denmark were invited by ANSV to share information on these occurrences. ANSV did not detail those two incidents, but likely candidates according to the ASN Database are a June 17, 2011 incident in which a TAROM ATR-42 made an emergency return to Budapest Airport following engine fire and a similar incident involving a Cimber Sterling ATR-72 at Copenhagen, Denmark. Interim results from the Danish incident show that the root cause for the In Flight Shut Down (IFSD) and fire was fatigue of one of the Power Turbine (PT) stage 1 blades. The fracture of the PT stage 1 blade caused a lot of fractured PT stage 2 blades and the PT Rotor came in unbalance. The unbalance PT Rotor resulted in heavy rubbing between the PT and the Low Pressure (LP) Rotor.